The Performing Arts Center of MetroWest (PAC) is deeply committed to promoting and providing cultural education in our community. Through dance, music, and theater education, as well as offering plentiful performance opportunities, we are working hard to build and promote arts education in our local community. We do this by making the connection between student and teacher, and providing a comfortable, central location for classes with great visibility and available resources. This is great for families, as we work hard to coordinate classes whenever possible, which can be a great help for busy families. More than anything, we want to share our enthusiasm for the arts and encourage everyone to join in on the excitement! In accordance with our vision, PAC provides high-quality instruction in music, theater and dance for students of all ages. This vital organization has served the community for more than 30 years. PAC is a 501 (c)(3) non-profit organization, an accredited member of the National Guild of Community Arts Education, and a member of the MetroWest Chamber of Commerce. Individual instruction in musical instruments, voice and acting. Classes and workshops in music, theater and dance. Theater performance opportunities for children, teen and adults. Performances in the community and other special events. 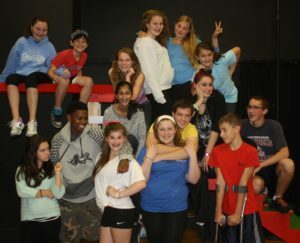 The home for the Moving West Repertory Dance Theater for teens and adults. In partnership with the Framingham Public Schools, PAC provides after school lessons for students at Woodrow Wilson Elementary School. PAC has launched a pilot program with the Boys and Girls Clubs of MetroWest (Pearl Street Clubhouse) to provide group violin lessons.